When it comes time to sleep most individuals will find their minds racing through thoughts. Whether they are worried about things that did not go well or fears about not meeting upcoming deadlines they will find it hard to fall asleep with all these anxieties. Understanding how to sleep better may help you to get more restorative sleep—which will likely help you to feel better all-around. Sleep is both an art and science. Understanding the complexities of the human body and how sleep affects immunity, strength, and metabolism is still a developing field of science. Understanding what you have to do to get a good night’s sleep is often best described as an art. We’ve written about natural sleep aids and we’ve endeavored to find the best mattresses on the market. Each of these has their merits but sometimes sleeping better comes down to lifestyle changes. If you go straight to bed after taking your dinner the chances are that you will remain awake for many hours because it will be hard for you to sleep. Instead of just jumping straight to bed you should always take some time to wind down. 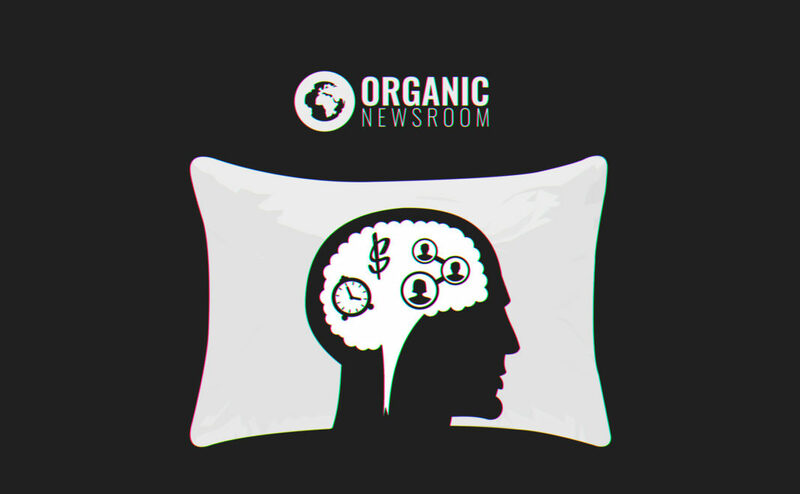 About an hour or 45 minutes before bed you should avoid doing anything that can stimulate your brain. These things include texting or playing games on your computer, smartphone and other gadgets that produce blue light. Exposure to the blue light makes it hard for you to relax and it also affects your ability to fall asleep. According to a study by the Harvard Medical School, exposure to blue light boosts attention and keeps you more alert which may make it hard for you to relax (R). There are also other studies that show that the blue wavelengths tend to increase the potency of the alpha wavelengths that are responsible for alertness and suppress the delta brainwaves which induce relaxation and sleep (R). Anything that will take your mind away from your many worries will help you relax before bed. Reading something in bed seems to work for most people. Unlike electronic gadgets, printed material does not produce any blue light and reading will make you sleepy after a long day. Of particular note is that reading from a tablet or blue-light-emitting device doesn’t seem to have as negative an effect as simply playing around on such devices (R). Also, it is important to ensure that you have a comfortable reading pillow to prevent back and neck pain which can make it hard for you to sleep. Pillows and mattresses are often not given the attention they deserve for affecting one’s sleep quality. A hot shower is always very relaxing and making it part of your bedtime routine will make it easier for you to fall asleep. The hot bath will relax your muscles after a tiring day, and it will also help to raise your core temperature which is what you need for a good night’s sleep. However, it is important to make sure that the water is not too hot because it will do more harm than good. One study found that warm baths showed a significant ability to help lower the time taken to fall asleep, improved overall sleep length, and improved sleep quality (R). The same effects were not seen in baths with cold temperature. Yoga and meditation have been in use as methods of relaxation for thousands of years. Although both can take many years of practice to master, you can still get some benefits from either without having to comprehend all the techniques. Doing some gentle yoga poses for a quarter an hour before bedtime will help to relieve the physical and mental tension that can keep you awake. It is important to make sure that you keep things simple by doing basic stretches and twists. And this is because any rigorous movements can trigger the release of an excess amount of adrenaline which is not good when trying to relax. Meditation, on the other hand, is very useful when you want to get rid worries and mental tensions. Research backs this up and has demonstrated that regular yoga improves both sleep quality and overall quality of life (R). Have you ever had someone to tell you to just “take a few deep breaths?” It’s an insidious thing to say to someone you care about but, according to research, is actually pretty good advice (R). Diaphragmatic breathing (deep breathing from the stomach upwards) has been shown to help reduce overall oxidative stress in the body as well as lower levels of anxiety (R)(R). As a stress management tool, this type of deep breathing can help stabilize cortisol levels and lower symptoms of hypertension. When done as part of a pre-bedtime routine it has the potential to send the body into a relaxed state conducive of shorter times needed to fall asleep and better overall sleep quality. Just try it yourself if you doubt it. A small cup of herbal tea before bed is a simple but very efficient method of relaxing. Not only does having a cup of hot tea before bedtime help signal the body that the day is over it can help combine several methods mentioned here. For starters, it can help provide a momentary increase in body temperature similar to hot showers or baths. Secondly, depending on what’s actually in one’s tea, herbal teas can serve as powerful natural sleep aids. Some popular herbal teas for sleep are chamomile, lavender, and passionflower. Finding one’s way to a quality night’s sleep can be an uphill battle with the distractions of modern life. Environmental noise, stress from work, and looming responsibilities can all keep one’s mind racing well into the wee hours of the morning. The simple tips listed here are meant to serve as universally-applicable routines and options to help one’s body slip into a sweet slumber. These shouldn’t be considered effective replacements for prescription medications or even natural sleep aids. These are merely actions of minimal inconenience to help develop a repore with one’s body about when sleep should be happening.